Ranked #3 CAC installer in the WORLD! The Pond Gnome works with Arizona homeowners who want to spend time enjoying their outdoor living space! When we began our career in landscape contracting in early 2000 (as The Garden Gnome), we knew that we wanted to promote sustainable desert-wise outdoor environments for our customers. We also knew that we could create a lush tropical feel using native and desert-adapted plants because we had done it in our own yard. Desert-wise landscaping does NOT have to be a barren wasteland with a few cacti punctuating the scene, nor does a tropical feel have to involve tender water-hungry plants that hate our alkali native soil. We wanted to create human habitats that mirrored the riparian areas that avid hikers and campers stumbled upon while exploring our great State. This, of course, involves the use of natural, organic water features that come as close to Mother Nature's design as possible. As our little company grew, it became apparent that ecosystem ponds and living water features were our true love, and we evolved to become The Pond Gnome. Since that time, we have designed, built, and remodeled over 500 ponds, Koi ponds, water gardens, waterfalls, streams, and rainwater harvesting systems for clients in Arizona, and even a couple in Nevada. We also work with like-minded landscape architects, designers, and contractors to compose outdoor environments that reflect a contemporary, more enlightened use of a homeowner's land for the betterment of the Earth, as well as the benefit of the occupant. To that end, we would be delighted to discuss your vision for your personal outdoor space! The Pond Gnome's mission is to create exceptional outdoor living environments. In 2015 & 2016, we were recognized at the #3 Aquascape contractor in the world! Paul Holdeman. I am a third-generation Arizona native, and have been a licensed Valley landscape contractor since 1995. Growing up in Arizona, I have an intimate understanding of the Sonoran Southwest’s microclimate. An avid hiker, backpacker, and camper, I spend as much time as possible enjoying the outdoors with my teenage son. After graduating from Cortez High school more years ago than I like to admit, I continued on to receive my BS from ASU. I quickly discovered, however, that an office job just wasn’t my cup of tea, and came to the conclusion that I belonged in a career where I could be unencumbered by four walls and a ceiling. Happily, I found a home first in the site services industry, and then in the landscape construction field. Once I discovered a way to imitate Mother Nature’s water feature designs right down to maintaining them organically, my passion flourished and I set out on a mission to specialize in replenishing my beloved desert’s natural oases in people’s backyards. 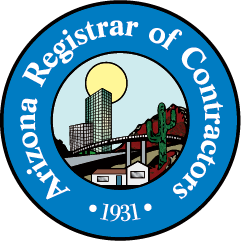 I have attended numerous courses given by the Desert Botanical Garden, the University of Arizona Cooperative Extension, the Arizona Landscape Contractors’ Association, and the Arizona Municipal Water Users’ Association. I also frequently attend continuing education courses by other world renowned experts in ponding and rainwater harvesting. This education and enthusiasm is applied in my trade as The Pond Gnome, where my passion for organic water features and native wildlife habitats is funneled into the company’s work. I'd love the opportunity to talk to you about YOUR vision for your outdoor environment! Barbi Holdeman. Originally from St. Louis, Missouri, I moved to Phoenix in 1977 with my mother, grandmother, six cats, and two gerbils. I attended Central High, obtaining my GED so that I could strike out on my own at the ripe old age of 16. I'm a bit on the independent side. I have completed the Maricopa County Master Gardener training courses, and have an Associate's Degree in Ornamental Horticulture/Landscape Design, as well as a Paralegal Certificate and an Associate Degree in Fashion Design and Apparel Construction. I love to learn! I also speak fluent sarcasm. As co-owner of The Pond Gnome, I am the Marketing Director, web mistress, blog author, and social media spokesperson. As the Queen of Organization, I concentrate my talents and energies on promotion, administration, and comic relief. In all seriousness, I am very proud of the work our team does, and I know that we can help you create the paradise you've been dreaming of for your home!